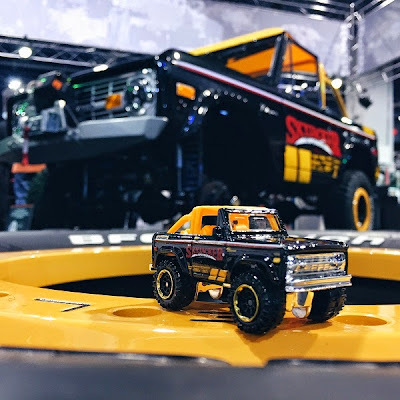 This issue has us starting out with the unveiling of a special full size custom built Matchbox Skyjacker Suspensions Ford Bronco from the SEMA show in Las Vegas. 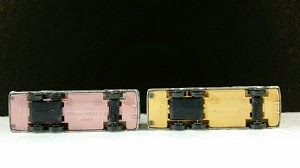 This is a replica of the same model that will be a part of the 2015 Mainline singles. 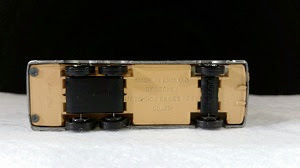 A limited number of the 1:64 models in a clear case with the Skyjacker and SEMA markings will be given out at the show. Also we have a first look at a Supreme Heroes model along with some 2015 mainline products and a glimpse at a TV Heroes model as well. 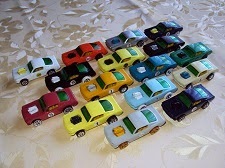 All images and articles are presented here with the consent and permission of Mattel and the Matchbox Team. Las Vegas, NV (November 5, 2014) -Skyjacker and Matchbox®, the dynamic duo, proudly announce today their joint build project. 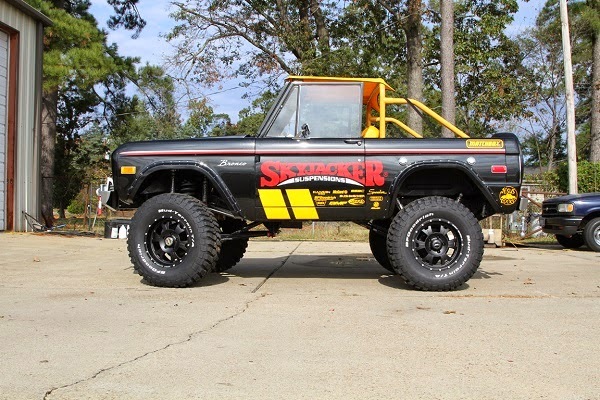 In honor of the 40th anniversary of Skyjacker Suspensions; Matchbox and Skyjacker have teamed up to create the ultimate throwback vehicle. 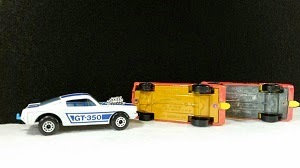 Announced during a joint press conference, the dynamic duo unveiled the new 1976 Ford Bronco 4x4 “Real Size Edition” along with the comparable Matchbox Ford Bronco 4x4 toy companion. The 1976 Bronco spec sheet reads like a formidable “who’s who” from the aftermarket industry featuring parts provided by: Skyjacker Suspensions, Hanson, Warn, Bushwacker, Bestop, JW Speaker, Winn Trim, Weather Tech, BFG, BMF Wheels, McGard, JE Reel, Hedman Headers and SSBC Brakes. The Matchbox Skyjacker Ford Bronco is the ultimate tribute to the iconic 4x4 workhorse. The celebratory Matchbox Skyjacker 1:64 scale die cast captures the trail-ready design of the original 1976 Bronco with coveted upgrades such as a lifted up profile, all-terrain tires, bikini-top as well as chrome bumper and grill accents. 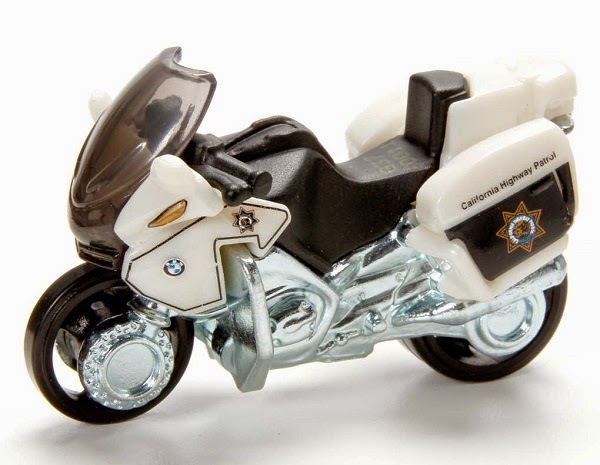 The toy version will be available at major retailers later this fall. 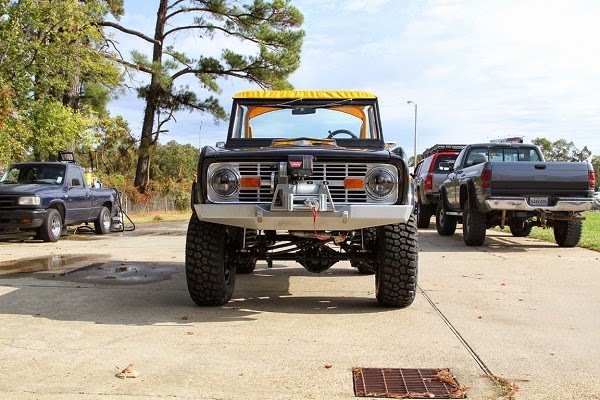 The Bronco and its toy companion will be on display the entire week in the Skyjacker booth (#34133) during the SEMA Show, as well as at a variety of events throughout 2015. Headquartered in West Monroe, LA, Skyjacker Suspensions has been leading the off-road and truck markets for more than 40 years. Family owned and operated, Skyjacker Suspension brings their passion for off-road and well performing vehicles to you as if you were part of their family. All Skyjacker products are American made with the highest quality parts and components available. Skyjacker Suspension gets you were you want to go with ease. 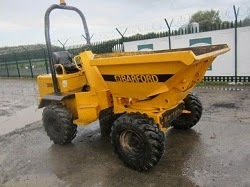 For more information log on to www.skyjacker.com or call 318-388-0816. 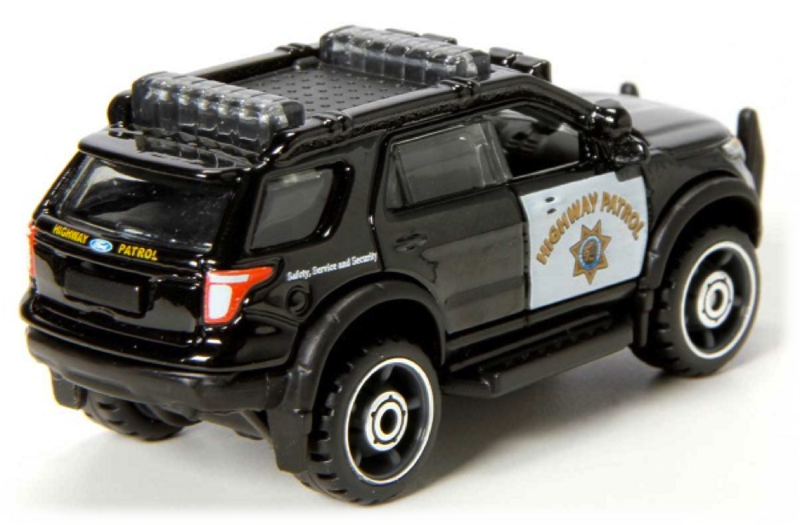 One of the first vehicles in the Supreme Heroes line will be the CHP Ford Explorer. It will have headlight & tail light decoration as well deco on the sides. It will feature our new ULTRA MAX™ 2 piece wheels. 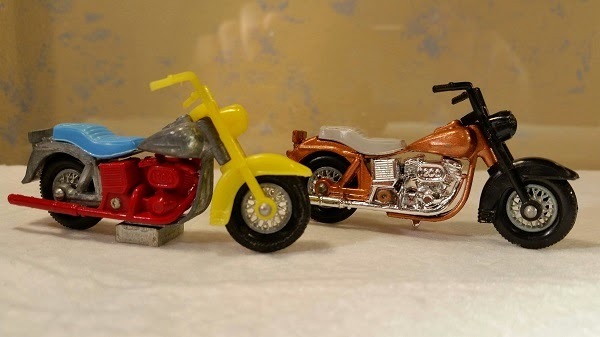 This special wheel, which is exclusive to the Supreme Hero line, will have a separate soft tire and separate hub which will come in different colors depending on the vehicle. There will be 2 wheel sizes and 2 different wheel hub designs available in the line. 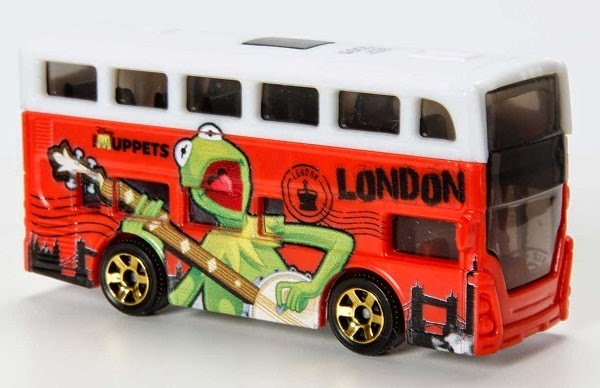 Here is something fun…..We are doing 3 vehicles in our TV Heroes pack that are Muppets themed. These are unique in that the decos will be different on each side of the vehicles. Here is the first image with the others to follow in my next report. Next we have a deco revision for the Express Delivery Van in the 2014 City Works 5 pack. We revised the colors on the side tampos to be more visible. 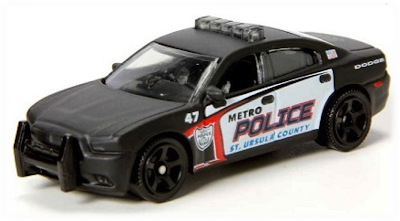 And lastly…..here is the new deco for the Dodge Charger Pursuit for the 2015 singles… Looks like a real Police Department on this one, but it is not! Although after searching on the web, I did find a St. Ursula in Pennsylvania. But the car is beautiful and it will be a hard one to find in the stores. 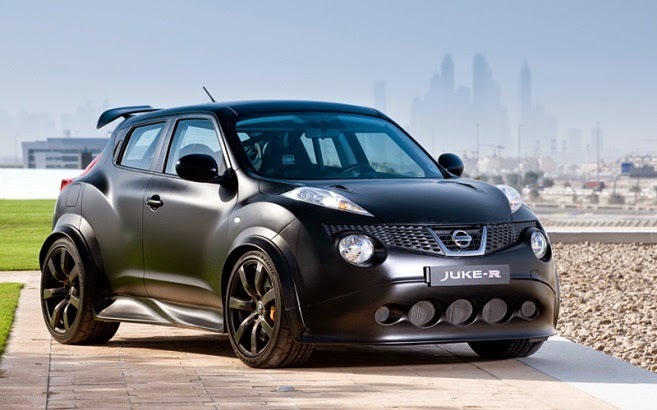 Nice design!!! Are there any plans on adding a Ferrari to the line up? No there isn’t. Will the Bentley Continental GT ever return to the line up? Possibly in the future. How is your relationship with Honda? It is good. Are there any new Honda’s being considered for the future? Possibly in the future. 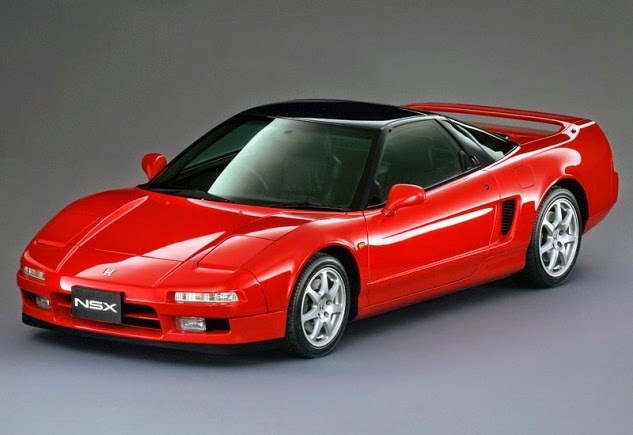 Are any of the older Honda’s still available like the Insight, Element, and Civic? Yes, the Insight and the Civic are still available but the Element is not due to its higher cost. Is there any chance of another Mini being made besides the Cooper? Not at this time. Is the team looking into adding a Maserati to the line up? Not at this time. 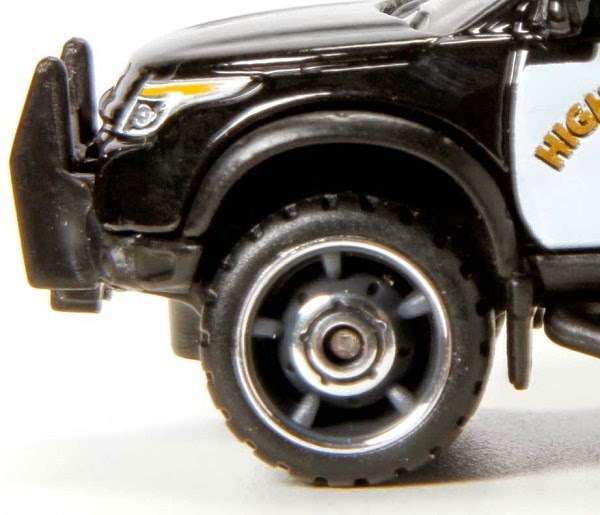 The Sea Spy & Mini Dozer has a one piece wheel and axel combination that does not roll very well. Can you look into doing something about making these roll better? Due to the design of the one piece barbell, it requires a parting line through the center of the wheel which tends to add a bump effect as it rolls. We are considering the roll effectiveness of the design currently. Can we have an update on the 2014 MB70 release? Will it be left blank or is there another model scheduled to be in its place? 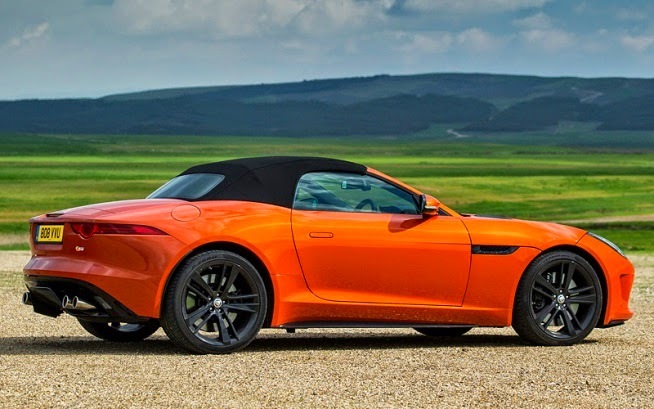 Collector number 70 on the 2014 singles list was reserved for the Range Rover Evoque. The Evoque has been moved to the 2015 line because of late development. It will however be considered as a 2014 carry over model. It has been noted that Volkswagen merchandise is now placing holograms on some of their toy packaging. Has this issue been brought to your attention by VW? 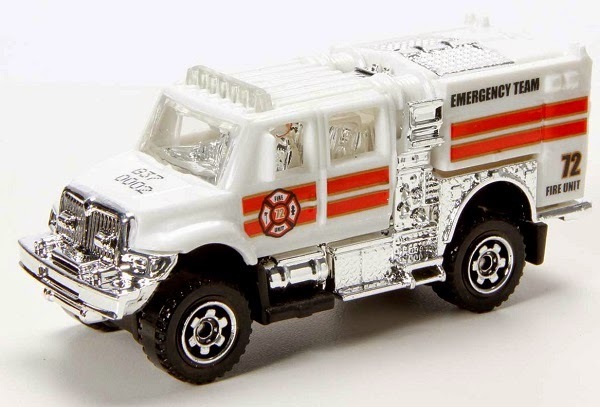 It is not a requirement for Matchbox models. Earlier this year the MBX design team announced that they would make a SkyBuster model of Virgin Galactic Space Ship II, and they listed the model number as SB122. A news report just appeared, announcing that the craft had crashed. Will that affect the release of the model? Given the recent tragedy of this aircraft it is unknown at this time if we will pursue it for the future. I would like to introduce my favorite Matchbox Model of all time!! 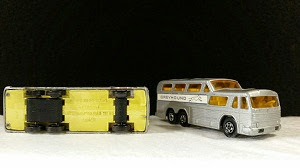 The Greyhound Bus Even as a kid this was the best model ever and as an adult I went out of my way to find every variation I could. Since my collection has been mostly in storage for years, I couldn’t find every model I have. 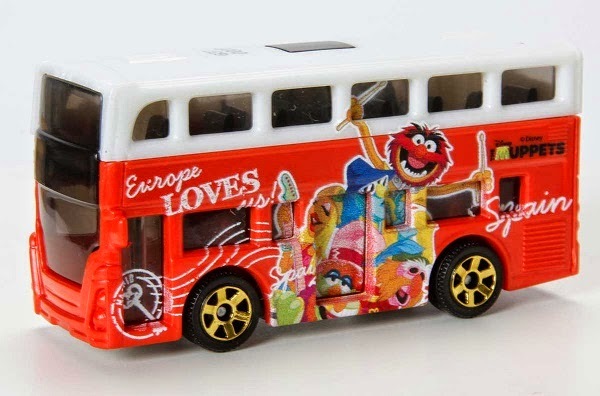 I couldn’t locate the light yellow base variation or the buses I have with 1 and 2 red tabs holding the wheels in place. Pictured below is my Regular Wheels and SuperFast with the assorted base colors. 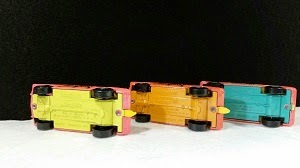 There is the black based version (on its wheels), dark yellow, pink and beige based Greyhounds pictured. I didn’t know the beige base existed until about 2 years ago. So I have at least 10 different models with the majority of them pictured here. I know there are some label / decal variations I’m sure I’m missing…but that’s okay!!! The hunt never stops!!!!! I recently took a road trip to one of my favorite rural department stores: Blain’s Farm & Fleet! On the 22nd of November they opened their toy department and they had an impressive selection of Matchbox die cast and assorted gift sets. I snapped a picture for all to see. Blain’s is a upper Midwestern family owed chain of stores that specializes in farming equipment, hardware, work clothes and other assorted household items. A BIG thumbs up goes out to this store chain for displaying our company’s products with pride. I picked out a diverse selection of ideas sent by different collectors over the past couple of months. 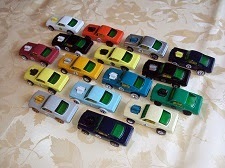 There are some great ideas that would fit very well in the Matchbox Line. We start at the top as usual and work our way down. 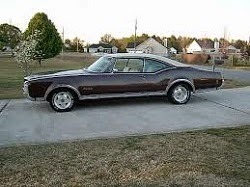 First row we have 1968 Oldsmobile. 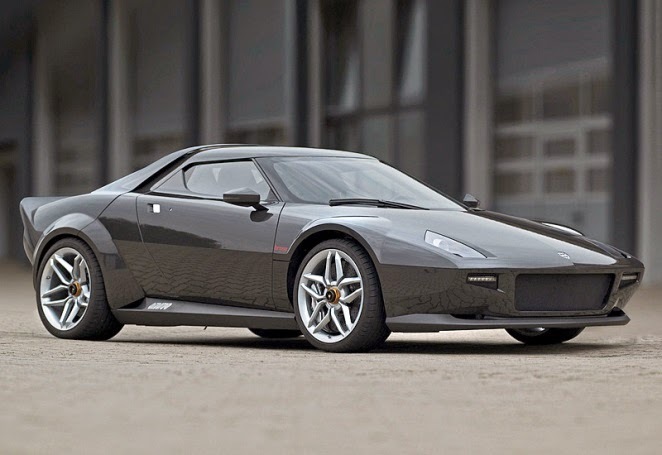 (Looks like a Delta 88), next we have the iconic 1990 Honda NSX and now we move along to a 2010 Lancia New Stratos, 2013 Jaguar F-Type, an Airport Luggage Vehicle. 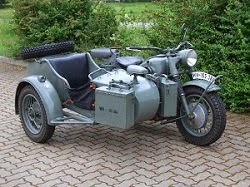 As we near the bottom we have the BMW R-75 Motorcycle w/sidecar, Site Dumper and lastly a 2011 Nissan Juke-R. In this issue’s Miscellaneous Section, I have a story summited by fellow collector Fabrice Declercq from Belgium and he is talking about a great subject “What is your favorite Matchbox Model of all time?” His story is a good one. Please take a moment to read. And when you are finished…ask yourself the same question. And if you have a story and some pictures, I would be more than happy to print them here for all to see. 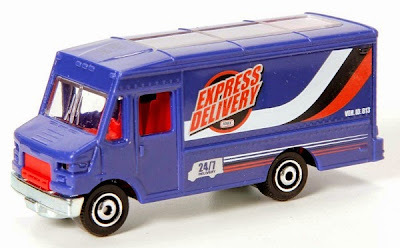 In the History Section, I pictured my favorite Matchbox Model, “The Greyhound Bus”. Thank you, Fabrice for your story and pictures. I also liked the Collector’s Case you pictured. I have a fondness for the 48-Car Carry Cases. Sometimes a collector will get a question: what is your favorite model? For most collectors a difficult question to answer but not for me. The questioner got my answer immediately…my all-time favorite Matchbox model is the SF#8 Wildcat Dragster (Mustang based dragster). Why? Well, that's a more difficult one to answer. Let me try. First of all, since I was a child I loved Mustangs, especially the fastbacks. Second reason: this particular model of Mustang is unbelievably beautiful and a mean speed devil and speed is what I like for my die cast cars (after all I'm a child of the early seventies when Matchbox was all about speed) An engine that pops up thru the hood, a fantastic rake with big fat rear tires, simple but aggressive bodylines, and a well detailed front & back….I can't ask for more! 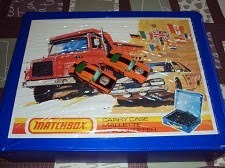 Matchbox did a really great job on this one. By the way, any carmaker that can let a pink car look mean deserves my respect. Third reason: nostalgia. I still get a warm feeling inside when I remember that warm summer Friday afternoon somewhere in June 73 or 74. 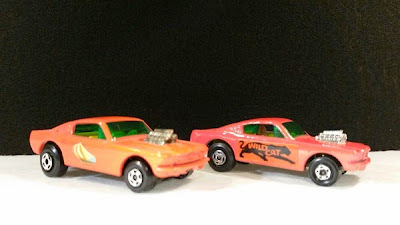 My mother went to the local market for some groceries and brought back a little present for me, a Matchbox Wildcat Dragster. Never saw a more beautiful toy. Gosh, that day I was the happiest kid on earth. A moment I will never forget and will cherish forever. Many years later I even got a second Wildcat Dragster. Result of a trade with a school friend. These 2 are still in my old Matchbox carry case enjoying their retirement after years of long and rough races in my father's backyard. Like I said already, it was my favorite model back then and still is today. A while ago I was thinking back on those days that are gone forever. It made me feel sad. But then I got an idea….Why not bring back those days by starting a second MB Wildcat Dragster chapter: A tribute collection….A collection that will show these gems in all their glory with new colors. 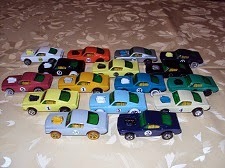 And off I went, searching for these Dragsters at swap meets, toy fairs and eBay. This confronted me with 2 major problems, the wheels and engines (chrome loss) are in most cases heavily damaged. Wildcat Dragsters in near mint or mint condition are very pricy so this was not an alternative. Soon I found a solution, coloring the engines and replacing the wheels with new ones. Giving the engines another color is easy but new wheels are another story. 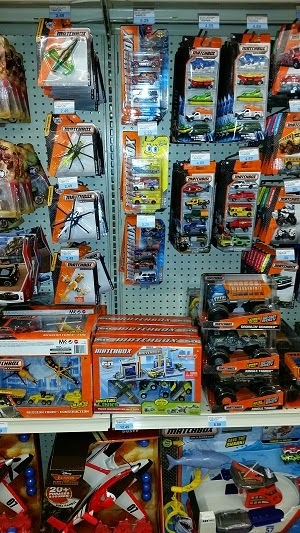 Thinking on how to solve this problem, I noticed something when going thru the pegs in the local toy store. 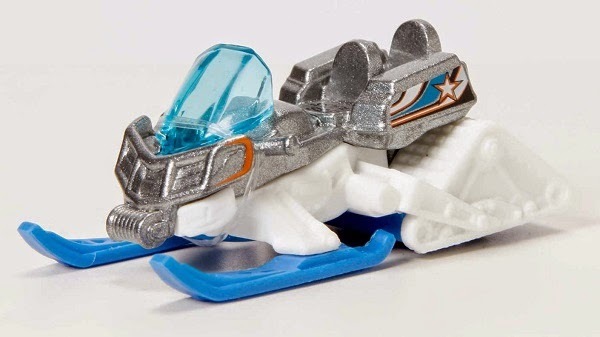 Some wheels and axles on Hot Wheels cars have exactly the same measurements as the old Matchbox wheels on the Wildcat Dragster. I tried a few and yes, I was correct, they all fit perfect. 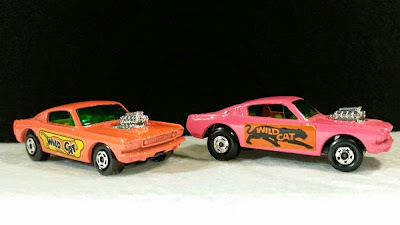 What a pleasant surprise with even two more pleasant side effects…I can create endless combinations and rescue old beat up Wildcat Dragsters from the trash bin. I admit these are not 100% Matchbox anymore but reliving the sweet Matchbox memories of my childhood is what counts for me. The Supreme Hero Ford Explorer looks great and I quite like the new 2-piece rubber wheels. 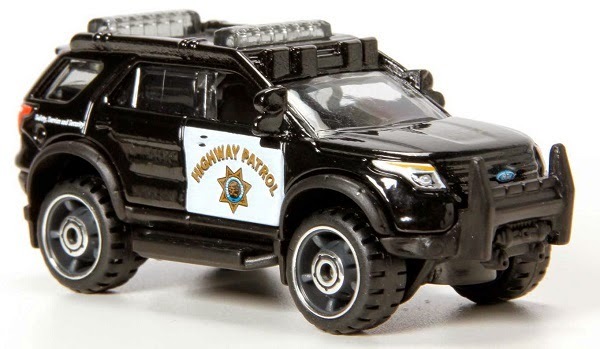 However.....why could they not add the paint to the sirens and spotlights etc. I am sure we will hear about cost limitations, but as good as this Ford looks, it could have been killer with the extra attention. Now it is just 'Nice'. I will be interested to see the price-point on these.